A widely circulated story in official Chinese news outlets about the country's housewives propping up the gold market was met with a fair bit of skepticism. People's Daily Online quoted the "Voice of China" radio program which said "one of this year's most popular phrases may be 'Chinese housewives' – as a major force which reportedly spent 100 billion yuan (US$16 billion) over the past two weeks purchasing 300 tons of gold and thus helping to sustain gold prices." New data provided by Bloomberg suggests these figures may be not completely out of the ballpark. In March mainland buyers splashed out more than $10 billion on 223,519 kilograms (223.52 tonnes) of gold compared with 97,106 kilograms in February, a 130% jump. According to data from the Hong Kong government, net imports by mainland China investors also more than doubled to over 130 tonnes. Significantly these numbers reflect buying in China BEFORE the gold price crash of 15 April which viewed by all and sundry as a great buying opportunity. 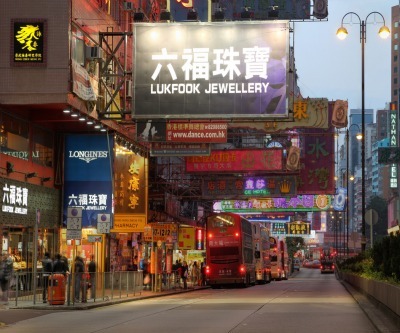 Reuters reports a spokesman for Hong Kong jewellery chain Chow Tai Fook, the world's most valuable jewelry retailer, said that traffic at its China stores jumped by 50% during the May Day holidays. Haywood Cheung, president of the Hong Kong Gold and Silver Exchange quoted a similar percentage increase with total gold sales from April 29-May 2 reaching some 40 tonnes.